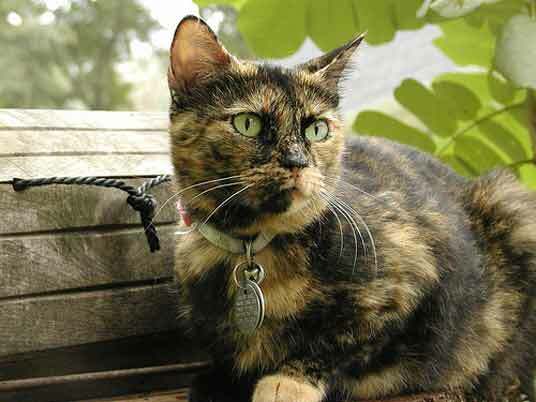 Tortoiseshell is a color pattern, often confused with calico. 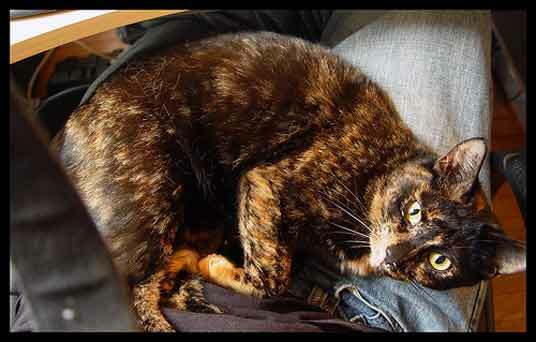 Tortoiseshell patterns have no white in their coats, just black and brown or red. 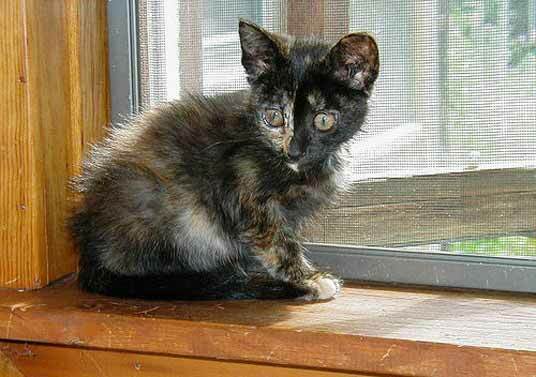 Calico coats usually have large patches of the three colors, whereas you can see that these tortoiseshell cats have a more blended or flecked appearance. 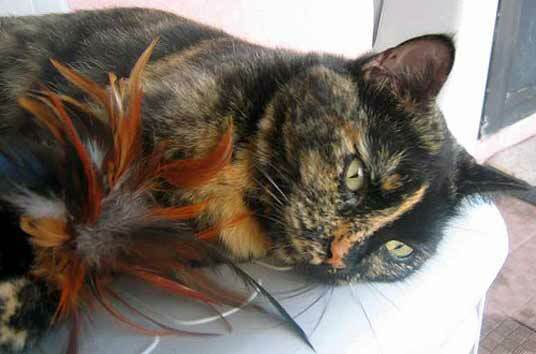 The coloring is caused by a combination of certain genetic traits that mostly occur in females. Markings are not symmetrical and can sometimes include areas of tabby-like pattern. 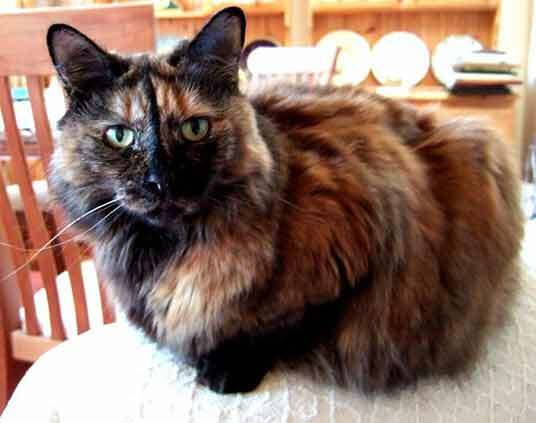 Tortoiseshells are also called "calimanco" and "clouded tiger" in North America.